Stocks are off to a great start in the new year. After a rough end to 2018, the Dow Jones is up 7% through the first six weeks of 2019, while the S&P 500 is up 8% and the Nasdaq is up 10%. Broadly speaking, then, most stocks are up in the new year. But, as is always the case, some stocks are up a lot more than others. Indeed, given the macro financial market positioning of late 2018 and early 2019 (namely, everyone went from concerned about a coming recession to realizing the economy is doing just fine), there have been a handful of breakout stocks in early 2019 that are up a whole bunch in a very short time frame. We are talking 30%, 40%, 50% and up rallies in just six weeks. Will the rally in these early 2019 breakout stocks persist for the rest of the year? As always, it depends on the underlying fundamentals. Some of these will keep surging for the rest of 2019. Others won’t. With that in mind, let’s take a look at seven of the best breakout stocks early this year, why they’ve broken out and where they are going next. 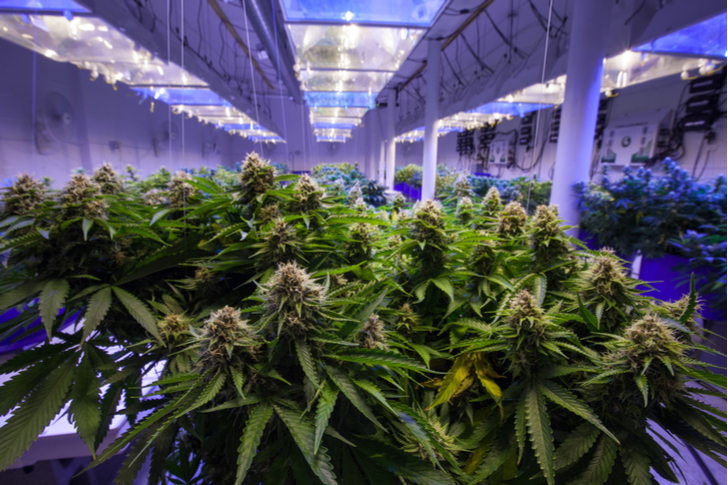 Why It Has Run Up: Pot stocks have had a red-hot start to 2019, mostly due to promising moves on the global legalization front (as the Farm Bill’s passage in the U.S. cleared the way for legal hemp production), big-money interest and bullish mainstream analyst coverage. Canopy Growth (NYSE:CGC) has been at the front of all this. In 2018, the company secured a $4 billion investment from Constellation Brands (NYSE:STZ). Then, following the passage of the Farm Bill, Canopy announced intentions to sell hemp-based products in the state of New York. Also, analysts have shined a largely favorable light on CGC stock thus far in 2019. 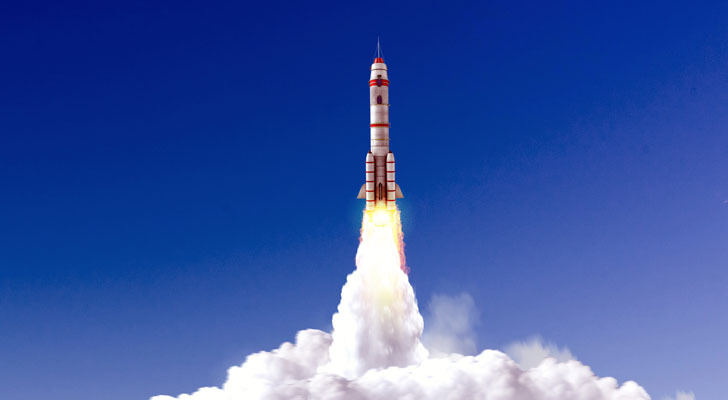 Where It’s Going Next: CGC stock is only going higher. To be sure, the stock needs a breather after such a torrid run in just six weeks. But after the stock consolidates for a while in the $40 range, it will resume its upward march as favorable catalysts remain in play (continued progress on the global legalization front, more big-money investments and continued positive analyst coverage). In the big picture, this is a potential $100 billion company in the making, so as long as the trends remain favorable, bulls will remain in control. Why It Has Run Up: Online dating giant Match (NASDAQ:MTCH) is off to a red-hot start in 2019 thanks to continued robust growth in the company’s core dating platform, Tinder. There was fear in late 2018 that the best of the Tinder growth narrative was in the rearview mirror, and that MTCH stock was set to fall on slowing growth in that segment. But strong quarterly numbers in early 2019 confirm that, while Tinder is slowing, it’s not slowing by much. As such, MTCH stock has bounced back in a big way from a late 2018 selloff. Where It’s Going Next: Unfortunately, it looks the rally in MTCH stock may be nearing a near-to-medium-term top. Tinder is cooling off. It’s going from 400,000 and up net adds per quarter over the past several quarters, to sub-300,000 over the next several quarters. Revenue growth and margin expansion are also expected to slow. Yet, at current levels, the valuation on MTCH stock isn’t far off all-time highs, which was unsustainable at 400,000 Tinder net adds per quarter. That’s a problem. Eventually, slowing growth will converge on the now-big valuation, and cause MTCH stock to trade sideways. 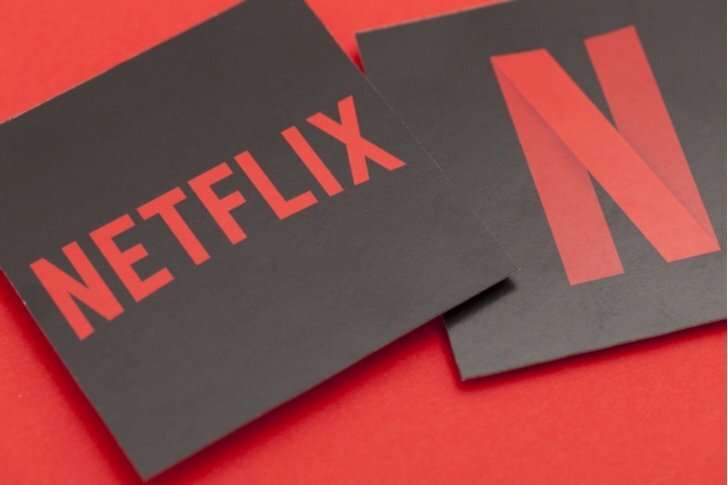 Why It Has Run Up: Streaming giant Netflix (NASDAQ:NFLX) is up 30% year-to-date in 2019 because, as it turns out, the Netflix growth narrative isn’t slowing down at all. Following a subscriber miss in mid-2018, worries started to build that the Netflix growth narrative was slowing. Those worries grew as investors became concerned about a slowing global economy in late 2018. But, Netflix reported robust quarterly numbers in early 2019 which underscore that — regardless of all the noise — Netflix continues to add millions of new subs every quarter, is able to get those subs to pay more and is concurrently growing margins. In other words, this narrative remains as good as ever, so Netflix stock is bouncing back to all-time highs. Where It’s Going Next: Netflix is a long-term winner. Valuation is a slight concern here and now. But, minor valuation concerns won’t cause much damage. By the end of 2019, Netflix stock will rally up to $400 as the company leverages international expansion and original content to continue to add millions of new subs each quarter. It will do so even in a slowing economy, since Netflix is a cheap service whose value prop arguably goes up when times are tough for consumers. That could make it a star among breakout stocks. 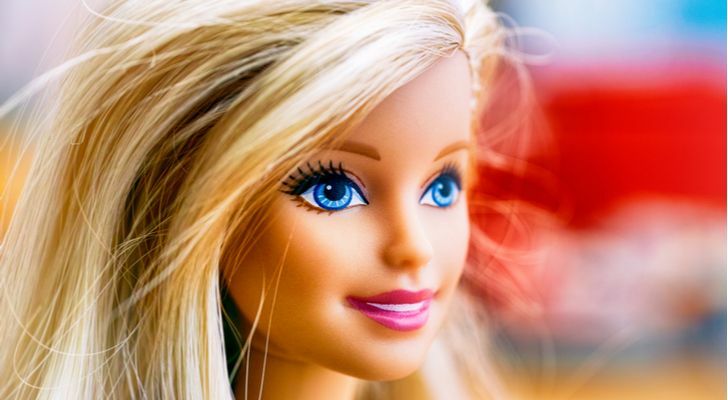 Why It Has Run Up: Left-for-dead toy maker Mattel (NASDAQ:MAT) is up huge in early 2019 because the company isn’t dying after all. The company turned in a surprise profit in the holiday quarter amid what was arguably Mattel’s most impressive quarter in several years. All the trends here are moving in the right direction, with revenue growth becoming less negative, margins improving and losses narrowing. Because all those trends are moving in the right direction, there is now visibility for this company to restore profitability and top-line growth. As that visibility has improved, MAT stock has skyrocketed. Where It’s Going Next: This big, early 2019 rally in MAT stock appears to be near a top. All the trends here are improving, but they aren’t improving by much. Revenue growth is still negative. Margins are still well off their highs. The company still isn’t profitable on a consistent basis. The balance sheet is still loaded with debt. Plus, the toy industry still faces secular headwinds in the form of digital engagement and gaming now spilling into younger audiences. Overall, MAT stock seems to have gotten ahead of itself in early 2019. 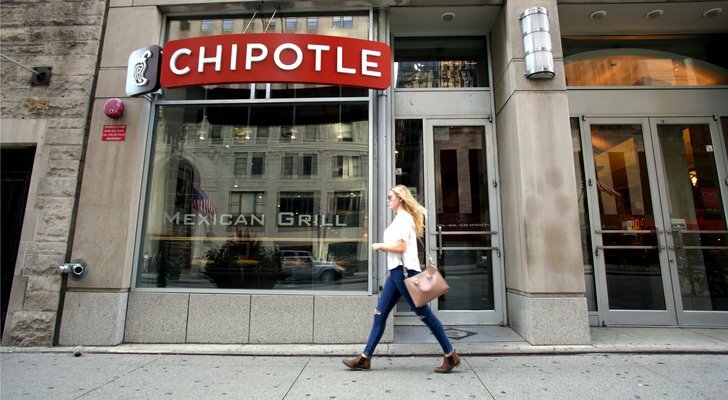 Why It Has Run Up: Fast-casual eatery Chipotle (NASDAQ:CMG) is up huge in the early part of 2019 as the company’s operational turnaround appears to be on track. Thanks to menu innovations and expanded delivery capability, Chipotle reported really strong comparable sales growth in the holiday quarter, led by the first uptick in traffic growth in several quarters. Margins also improved, and profits soared. This gave bulls plenty of ammunition to push the stock higher, and that’s exactly what they did. Where It’s Going Next: As it closes in on $600, CMG stock appears woefully overvalued. The stock now trades at nearly 50 forward earnings. Even if you assume that EPS gets to $20 in three years (which is above the consensus estimate), this stock is still trading at 30 times earnings that are three years out. That’s too high. McDonald’s (NYSE:MCD) and other fast casual restaurant stocks trade around 20-times earnings that are twelve months out. Plus, the big comp in Q4 was on an easy lap. The lap gets incrementally and substantially harder every quarter this year, so comp growth should cool as 2019 rolls on, and that could cause CMG stock to fall. 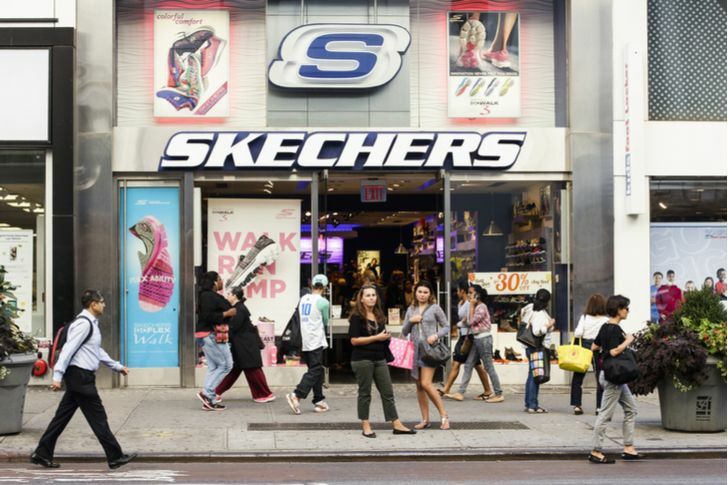 Why It Has Run Up: Athletic apparel company Skechers (NYSE:SKX) is up big to start 2019 thanks to strong holiday numbers which underscore that this company can grow revenues and profits side-by-side. For a long time, investors questioned whether or not this could happen, as robust revenue growth seemed to be fueled by big spend, which cut into margins and diluted profit growth. But, over the past three months, Skechers grew revenues, margins and profits all at an equally robust rate. That has given hope to investors, who have put a big bid under the lowly valued SKX stock. Where It’s Going Next: SKX stock should remain on a winning trajectory in 2019. As mentioned earlier, the big thing is that revenues and profits are now growing side-by-side. Management sounded a confident tone on the conference call that this could/would be the new norm going forward. If so, and if revenues and profits both grow at a healthy rate in 2019, SKX stock will continue to run higher, given that it’s trading at a super-low valuation (just 16X forward earnings). Why It Has Run Up: Home goods retailer Pier 1 (NYSE:PIR) used to be a heavyweight in the furniture retail segment. But, over the past several years, sales have dropped and margins have been killed, leading to PIR stock going from over $20 in 2013, to 30 cents by the end of 2018. Investors have breathed new life into PIR stock in 2019, as the stock has more than doubled in just six weeks. There hasn’t been much news on the catalyst front, so this is clearly just investors saying this sell-off is way overdone. 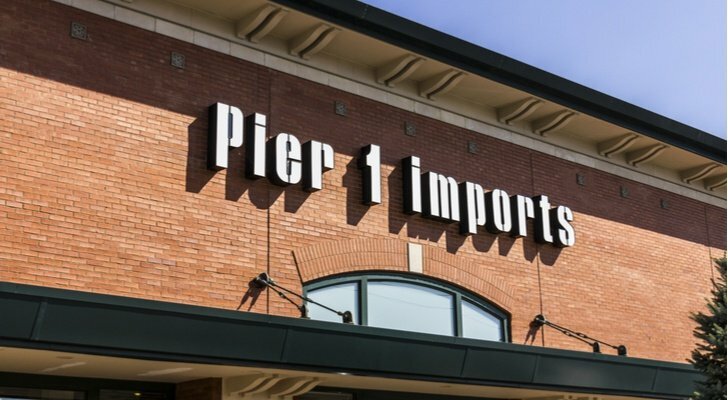 Where It’s Going Next: The numbers at Pier 1 have been disappointing for a long, long time, and they just refuse to get better. But this is a $70 million company with over $1.5 billion in trailing-12-month sales. Cash burn is a problem, and there’s not much cash left on the balance sheet, hence the big worries surrounding the longevity of this company. But if profitability turns a corner, this stock could fly. As such, risk-reward looks good here. Still, risk is high, so it’s not for the faint of heart. As of this writing, Luke Lango was long CGC, NFLX, and SKX. Article printed from InvestorPlace Media, https://investorplace.com/2019/02/7-breakout-stocks-in-early-2019/.